NPG-HPS12BC | Sommers | Generator | DNM Solar Solutions Inc.
your furnace, lights, sump pump, refrigerator – and your life – running. 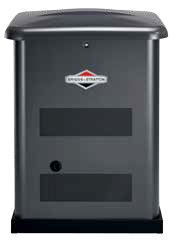 Whole-house power with our sleek 12kW1 is possible with our proven patented Symphony® II power management system. As the smartest, most customizable Power Management system available, this proven technology is the easiest way to give your customers unprecedented peace of mind and protection during a power outage.